We had a wonderful Easter Holiday at our house. 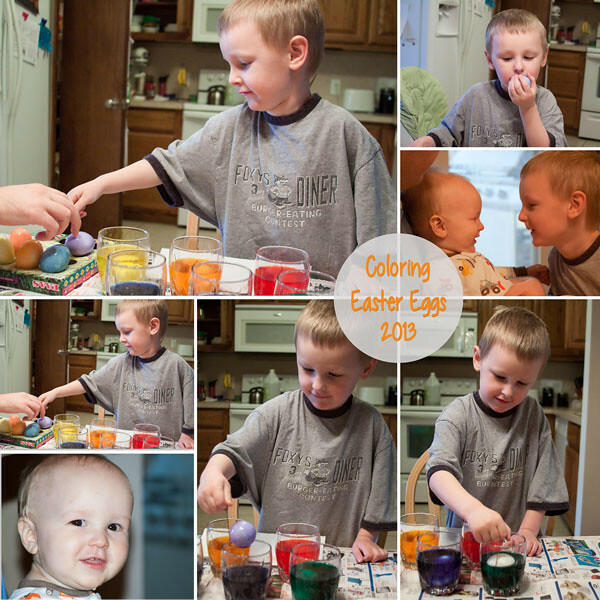 It’s the past 3 years it had been a little crazy and last minute when we were planning on egg dying and all the fun stuff with Spencer. We did have enough fore thought to ask the Easter Bunny to come visit our house on the Saturday before Easter so we can focus more on the Savior on Easter Sunday. We dyed Easter eggs on the Thursday before Easter so they would have enough time to dry before they got hidden around our house. Spencer has gotten really good with his hand eye coordination and was able to dye the eggs with little to no help from us. We had a great time when the Easter Bunny came on Saturday too. Of course Mommy’s camera wasn’t set quite right and the pictures came out dark of the Easter basket opening, but the Egg Hunt pictures are great fun. 🙂 Both boys had the best time. Later that evening, we shifted our focus from Bunnies, eggs and candy to Christ. We made Resurrection rolls. A lot of people have done these before, but we thought it would be a nice illustration for Spenc. I didn’t take pictures, I was busy participating. 🙂 I’ll tell you about them though. We took crescent roll dough and spread a triangle out on the table. The roll represents the tomb Christ was buried in. Then we took a big marshmallow, which represents Christ, rolled it in butter and cinnamon sugar, which represent the spices used to prepare his body for burial. Then we placed the marshmallow in middle of the crescent triangle and folded it up around the marshmallow and sealed the edges (the best we could). We baked the rolls as directed (10 minutes at 350), which represented the 3 days he laid in the tomb. Then we took them out and opened the rolls (after letting them sit for a couple minutes the marshmallows make those things HOT). The marshmallow was gone when we opened them up, which represents the Resurrection. Spencer totally loved it and understood the point. We were so glad he did. And the rolls are quite tasty, so it makes an excellent lesson for Easter. 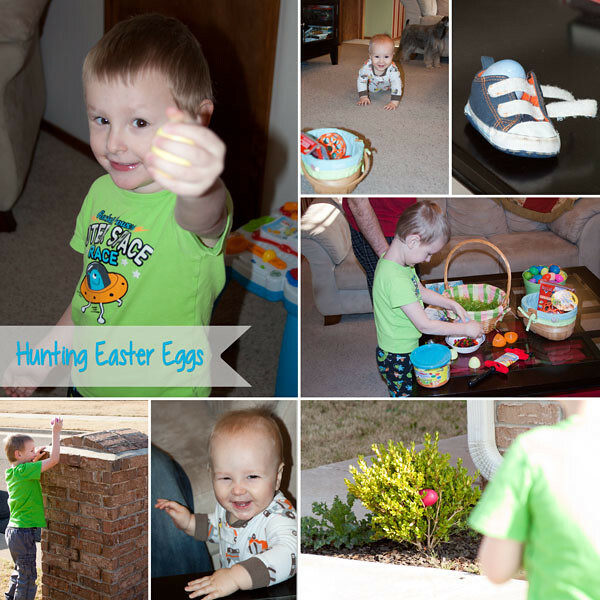 We had a great Easter and are so grateful Spencer is willing and anxious to learn about our Savior. It was an awesome, low key holiday for us.